I don't force a web design concept on you. I consult with you to discover web designs that you like. I design your website, and show you a full design prototype. You see exactly how your site will look. You don't have to guess from a Wireframe or rough sketch. Once approved, I convert the image design into pure HTML5 and CSS3. 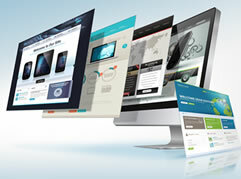 Your site design becomes a real, Google friendly website that is phone and tablet compatible. 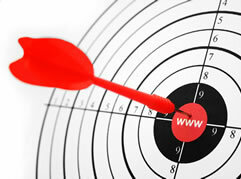 Your site is built with SEO (Search Engine Optimization) in mind. A great website design isn't much help if no one can find you. I create an SEO and Social Media plan to give your site maximum exposure. With clean modern graphics, I can make your site compete with the web design of the largest companies in your industry. Creating a website design that is both attractive and effective is, when working with me, a collaborative process. I don't force a design on you. I'll ask you for links to sites that you feel look good and represent the "look and feel" that you'd like to achieve. We then discuss functionality and the flow of the user experience. A beautiful website that is difficult to use doesn't help you or your site visitors. Once I understand the kind of sites that you like, and the needs of this project, I'll create a web design that is clean, easy to use and effective. And you have the opportunity to be involved in and contribute to the design. I'll make sure you get the website that you'd hoped for - a website that gets compliments for its design and its effectiveness. New techniques and functions allow me to do things with just HTML and CSS, that take no time to load and start instantly. They rival the effects that would have formerly required a huge, slow loading, Flash file. I stay on top of the latest technologies to give you a dynamic website that grabs your customer's attention. Is your website looking tired and out of date? If your site is more than three years old, it's time to consider an update. 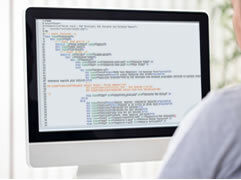 New technologies have evolved that now make website designs cleaner, and more effective. With new technologies like HTML5, CSS3, Bootstrap and AJAX, new website designs look better, work better, and give a better user experience. An investment in a new web design can actually make you money by making your site attract more users, and helping to convert those visitors into paying customers. New responsive designs, using the Bootstrap framework, allow your site to look good on all devices, including: computers, tablets, and phones. You will be able to turn visitors into buyers on all devices. Convert Your Site Design Into HTML5 / CSS3. Expect Compliments on Your Site's New Web Design.